While today might belong to the new Motorola DROID Ultra, Motorola DROID MAXX and Motorola DROID Mini, the buzz around Google's wholly owned subsidiary still revolves around the Motorola Moto X. A new 4 minute video, which apparently originated in Vietnam, has been posted online starring the upcoming "customizable" handset. We get to see a tour around the exterior of the phone along with a little bit of the software in action. 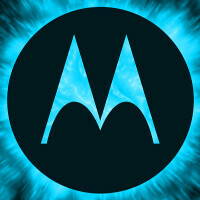 The Motorola Moto X is expected to be introduced on August 1st and earlier Tuesday we passed along the latest speculation on how the phone will be priced. The report out of China has the 16GB model going for $299 off contract while the 32GB model will be $349. We believe Motorola will announce that those ordering the phone online will be able to select the color of the back cover and the trim. Buyers are expected to have the option to engrave the back of the device. Those walking into a retail location will have to settle for a standardized version of the phone. In the meantime, feel free to check out the Motorola Moto X in the video below. And if you have your Vietnamese-English dictionary lying around, you might want to grab it first. Wasn't this video leaked around some time back in March? http://www.youtube.com/watch?v=3x8eKBFttro&feature=youtu.be This is the English translated version. Wow, GSMArena posted it and I saw Phonearena didn't. I hoped you guys did a bit of research before posting news. I was wrong. If the that video was made in March, why is the phone release only in August? On the video, it seems pretty much completed. Maybe I'm wrong.